It is August and I am frantically trying to squeeze as many outdoor activities before temperatures begin to dip. So far my summer has been concert-heavy - I saw Justin Timberlake with Jay Z two weeks ago, and Beyoncé just last night. And on the dance front, I am looking forward to Drive East in a couple of weeks. Seven miles of NYC - from Park Ave at 72nd Street to Centre St at Brooklyn Bridge - will be closed to vehicles for the annual Summer Streets celebrations. While there will be no cars, you can ride your bike, rollerblade or just plain walk the streets - eating, participating in fitness classes or viewing a variety of art exhibits and music performances along the way. The highlight this year is the Voice Tunnel - an interactive voice and sound installation within the Park Avenue tunnel running from East 33rd to East 40th Streets. For further details, check out the NYC Gov website here. The 17th anniversary of the NYC Fringe Festival takes place this month. Akin to what you would see off-Broadway (meaning they could be really kooky or really amazing), there will be over 1000 shows from dance performances, comedies, social commentaries and hip-hop musicals. See the entire 17-day lineup and buy tickets here. To celebrate the fifth month of the lunar calendar, the annual dragon boat festival will take place in Meadow Lake in Flushing Meadows-Corona Park, Queens. Over 120 teams from across North America will compete in festival - which will make it the largest in the region. Seeing that it's being held in Flushing, it would be remiss not to indulge in authentic Chinese fare - whether at the festival or at nearby restaurants. See the race schedule here. Based on the dance and music season held in Chennai, India every December, Anamika-Navatman will hold it's inaugural Drive East festival this August. Over 30 South Asian shows will take place over the week with performances including traditional dances in the genre of Bharatanatyam, Odissi, Kathak and Kuchipudi; and music performances showcasing contemporary clarinet, sitar, tabla along various vocal concerts. As a member of Navatman - the company and the school, I am particularly excited to see on stage, close friends as well as artists I hold in high esteem. To see the schedule and to purchase tickets, visit the Navatman website here. The world's first festival of vintage French carnival rides will reside in Governors Island each weekend until the end of September. 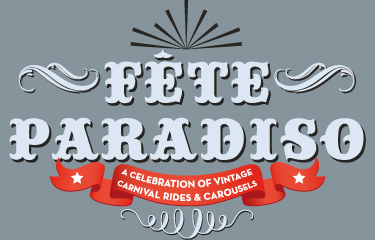 The fête will include a range of rare, vintage carousels, flying swings, a pipe organ and a variety of side shows. A bumper car pavillion from 1900 has also been transformed into a beer garden with French food. The best part: admission is free and carnival rides are only $3. See more details here. The US Open marks the last Grand Slam of the year. After the interesting showcase at Wimbledon, I am looking forward to fan favourites making it at least into the quarter-finals. Details and match schedules can be located on the official website here, and most importantly Ticketmaster still has plenty of tickets for sale here. Make your August count - have a great month! Ah, my husband and I visited NYC about a year ago and really loved it. It so amazing how much is going on at any second. There always seems to be some sort of festival or celebration of something happening. Great roundup; I wish I could make more than a couple of them, but alas, I'll watch from my desk.